CHBN’s Maisy-Sky Lumbers has been shortlisted in two categories of the 2019 Young ARIAS. The Songs from the Shows presenter has reached the top 3 shortlist in the BBC Sounds Rising Talent Category and Best Factual Show Category. 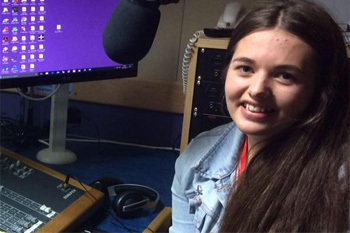 The Young ARIAS are the new UK awards for 8 to 18-year olds and schools who love making audio. Winners will be announced in May.